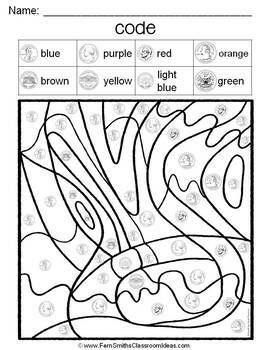 Your students will love this mixed coin identification color your answer worksheet while learning and reviewing important money skills at the same time! You will love the no prep, print and go printable for US coins with an answer key included. 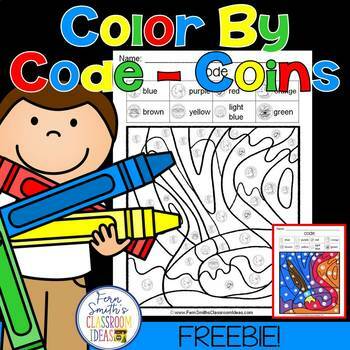 If you like this freebie, you will love this resource, Color By Code Identification of Coins. 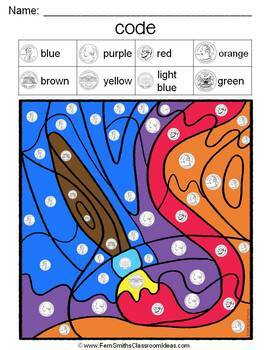 Six completely different coin identification color by code worksheets!